"Kaycie came highly recommended to me. I am so happy she was available. She was so relaxed, professional and confident during our session. She knew exactly what to do to make us feel comfortable. We had so much fun. I can't wait to see what else you captured. Thank you so much. You are very talented and great to work with." "Kaycie is amazing! She has a gift for capturing personalities in her photos. I've always thought my family is beautiful, but I just can't stop looking at the pictures she took of my kids! I would highly recommend her to anyone. She is a very able photographer who is skilled at her profession. 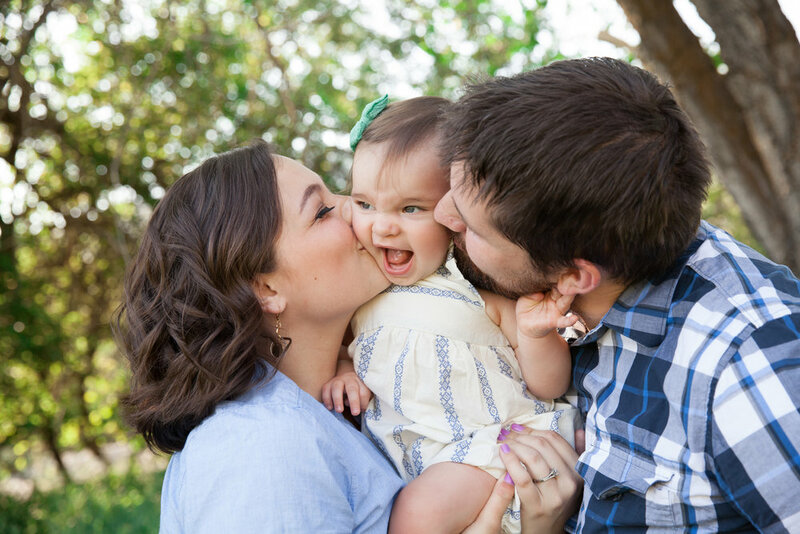 I love how easily she put my family and I at ease so we didn't have trouble with forced smiles from the kids...instead, we've enjoyed a plethora of photos that captured beautiful, natural smiles!" "I can't say enough great things - from the quality of the photos, to her professionalism and attention to detail, to the gorgeous airy style of her work, to how great she was with our fussy toddler, we loved working with Kaycie from start to finish!" "Kaycie did our family pictures this year. Not only do my kids still ask to play with her (she was super fun to work with), but the pictures she took were adorable! My family and friends still comment about them and it's been months. She had tons of ideas for cute shots and took her time. We had a great experience with her and will definitely be coming back for more sessions in the future!" "Kaycie did all our wedding photography (engagements, bridals, wedding day, and reception) and we couldn't have been more happy! She is so great to work with and so so talented. We love all of the pictures and have received many compliments on them from several others. You won't regret working with Kaycie!"